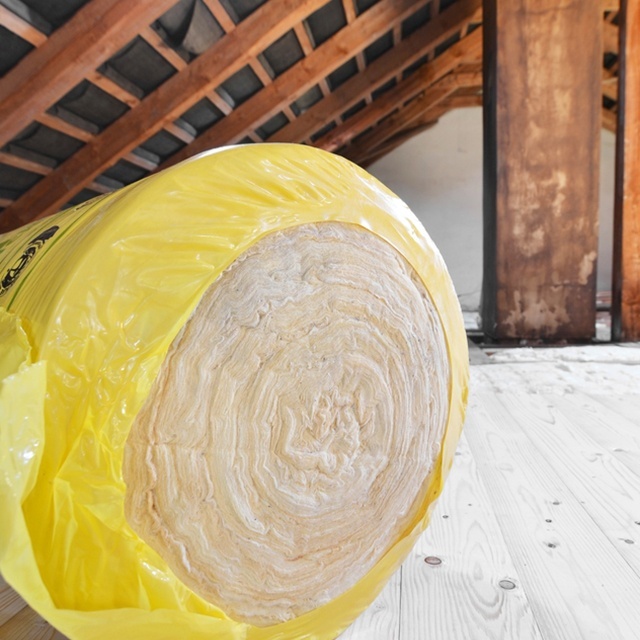 Does adding insulation increase your home's value? As a homeowner, I often find myself researching how to increase home value without draining my savings. My neighbors seem to have some pretty creative ideas: one added landscaping, another updated a bathroom. These ways were well and good, but I needed something a little different, something that would not only increase my home's value, but also help me in my day-to-day home ownership expenses. The one thing I kept coming back to was insulation. I was surprised at the research that said adding insulation would help my home "go green" and that it would save on my utility bills, sometimes as much as 100%. I decided to learn what I could on insulation. Let me a share a little bit of what I learned with you. When I first went looking for insulation, I was bombarded with questions like, 'What kind of R-value are you looking for?" and "What is the R-value of the insulation in your home?" Quite frankly, I had no idea what they were talking about, so the first thing I needed to learn was,"What is R-value?" The R-value in insulation refers to its thermal resistance and the ability of the insulation to reduce heat flow, that is, keeping the heat in and the cold out. The thicker the insulation, the higher the R-value and the more insulating capacity the insulation has. But not only does the insulation in my home affect the R-value, so does the construction components such as the brick, the wood, and the sheathing. All of this adds up and becomes very confusing. I found out the R-value of the insulation of my home by climbing up to the most accessible space, the attic. If you have fiberglass wool batting, the R-value will be stamped on the paper side. Rigid foam insulation will have a R-value of 4 (per sq in of thickness), and blown fiberglass comes in at 2.2 (per sq. inch). If your home is new, your builder will be able to tell you the R-value of the insulation in your home. While I was up there, I also inspected the ducting to see if it was insulated, a lot of heat and cool air can be lost through the ducts if they are not properly wrapped. After my inspections I used the Department of Energy's Zip Code insulation calculator, not only for my peace of mind, but also to get ideas on how to increase home value by adding insulation. Armed with this new knowledge of R-values and what my home had, I was ready to contact some contractors. I was told that adding insulation to my walls could be tricky, but adding insulation to the attic and crawl spaces wouldn't be. The contractors reaffirmed my research, that by adding insulation I could decrease my utility bills. The cost seemed prohibitive at first, but some quick calculations determined a small, short term loan could be obtained. Even better, I learned that Massachusetts residents can tap into a zero interest loan from Mass Save. With the decision made and the contractor found, I was able to sit back and enjoy the savings. I may not have raised my home value in a visible way, such as with fresh landscaping or a sleek bathroom, but I did learn how to increase home value, as well as get a small return on my investment by lowering my heating and cooling bills. Want to learn more about savings through energy efficiency? Visit the Mass Save Home Page and find out how a free energy assessment can show you where you can improve your home's energy efficiency.